1. Give us a shout or sign up for one of our membership plans. 2. Set up and appointment to come take a tour, meet the team, or drop in for a workout. 3. 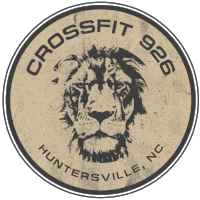 Become a CrossFit 926 family member and redefine yourself! Work Hard. Lift Heavy. Stay Humble.